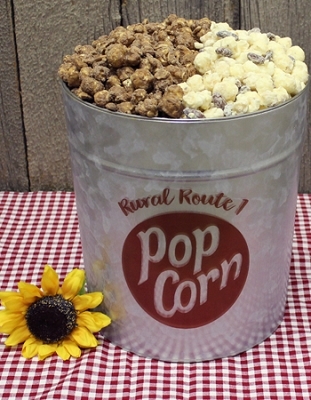 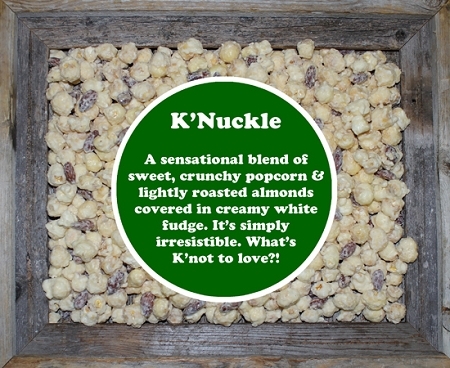 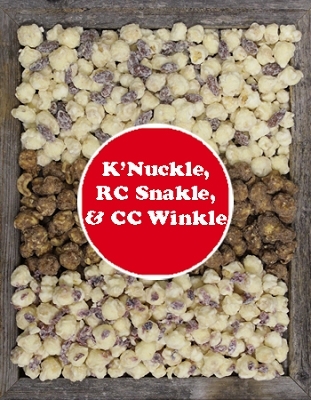 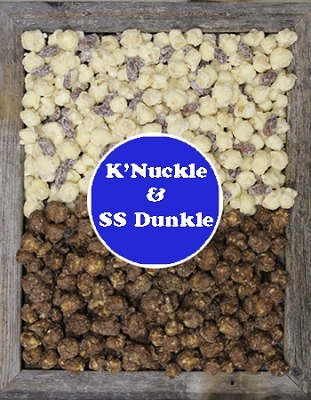 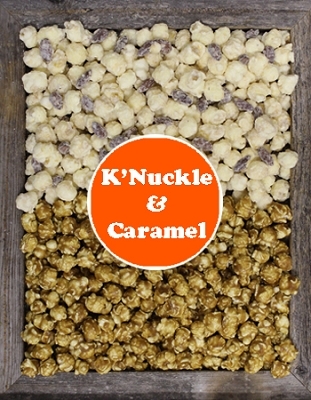 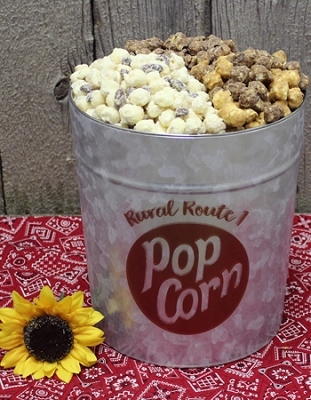 This 3 gallon tin tin contains 2 flavors K'nuckle, Popcorn covered in White Fudge and Almonds & R.C. 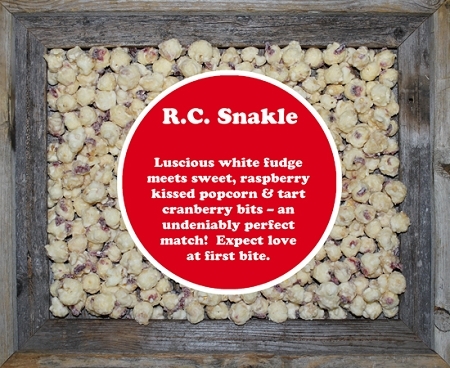 Snakle, Popcorn dipped in White Fudge with tart cranberries . 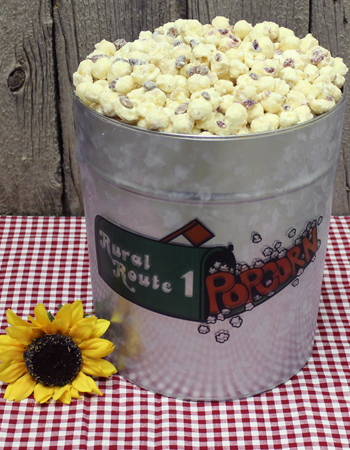 Two of our SWEETEST White Fudge Popcorn Combinations, approximately 61 cups. 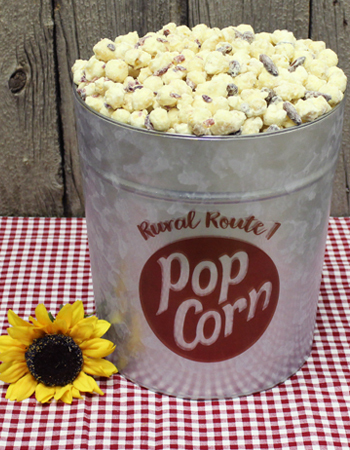 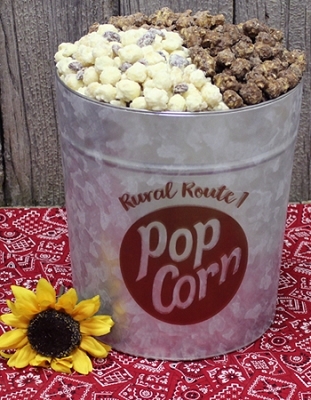 All this goodness in our NEW Signature Rural Route 1 Tin.